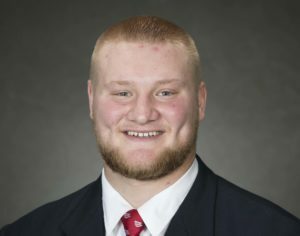 The Wisconsin Badgers is already losing seniors Michael Deiter and Beau Benzschawel to the 2019 NFL Draft. Now junior tackle David Edwards announced this week that he will put his name into the upcoming draft. Edwards missed the last three games of the season, including the Pinstripe Bowl, with a shoulder injury. As a sophomore, Edwards earned All-America honors from multiple outlets and was a consensus second-team All-Big Ten selection. He checked out his potential draft status and received a second round grade before returning for his junior season in Madison. Redshirt freshman Logan Bruss took over at right tackle when Edwards was out and will start spring ball as the No. 1 right tackle. The Badgers could also lose a fourth starter soon. 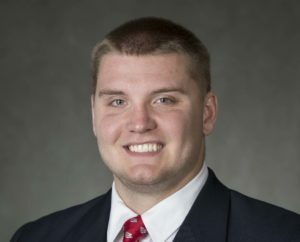 Center Tyler Biadasz is going through the process of making a decision to return or not. ESPN Draft expert Mel Kiper Jr., had him rated as the number-4 center prospect among eligible players. After last week’s Pinstripe Bowl, Biadasz said he’s ready for the NFL. He’ll have until Jan. 14 to make a decision.